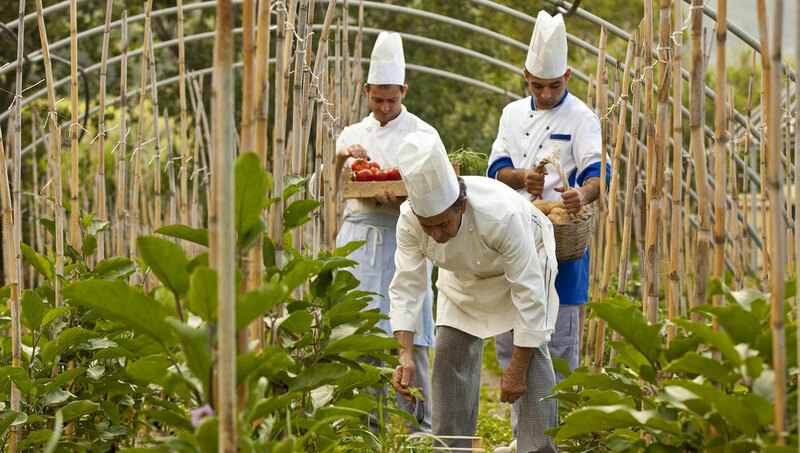 Our restaurant’s philosophy is to ensure that the guests experience wellness even at the table. This is why we put quality, freshness, and genuineness first, along with deliciousness. A breakfast buffet is laid out on the restaurant’s terrace by the outdoor pool that overlooks the bay of Maronti. 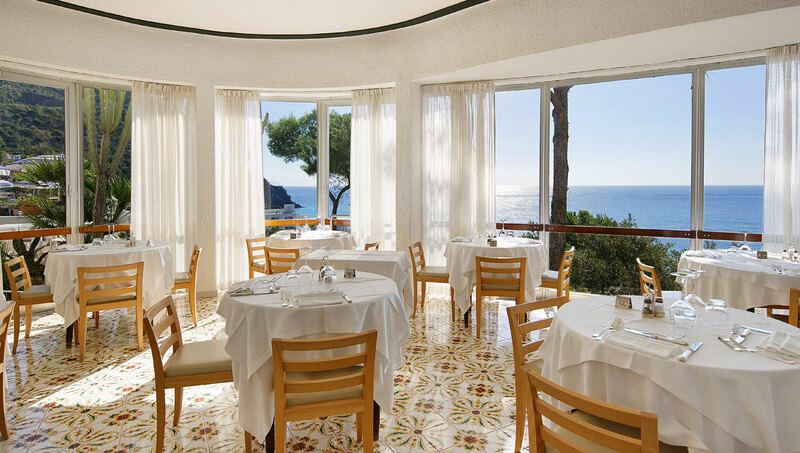 The lunch and dinner menus prepared by our executive chef consist mainly of Mediterranean preparations including many types of pasta as well as several dishes of the local tradition. 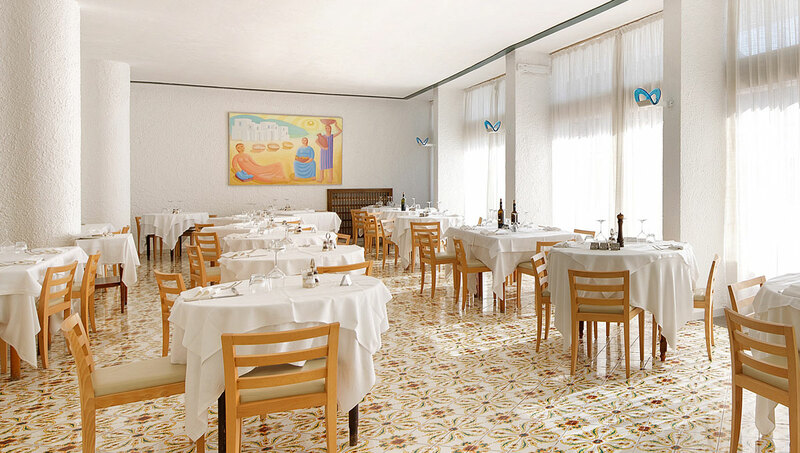 We are however always ready to satisfy the wishes of our guests and meet their dietary needs. 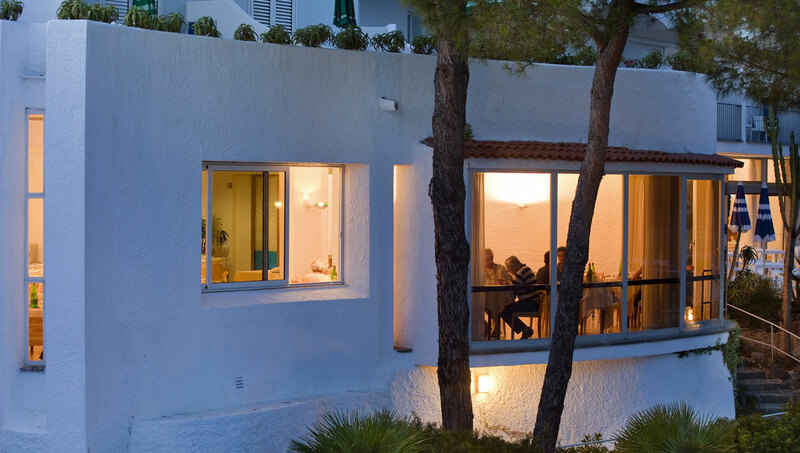 Hotel San Giorgio welcomes and caters to the requests of vegetarian and celiac guests with a menu that always includes vegetarian and gluten-free food. Vegetables and starters are served in a rich buffet. We are proud of our vegetables. 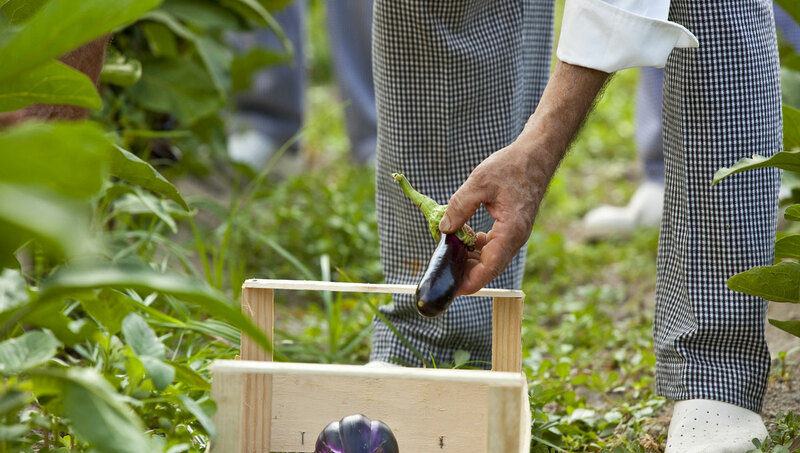 For over thirty years we have been growing organic zucchini, eggplants, peppers, tomatoes, and potatoes, the staple of the Mediterranean diet, in the family’s plot of land not far from Maronti beach. Our restaurant relies on a daily supply of fresh produce. The guests love their explosive taste that retains the flavor and rich nutrients of a volcanic island where vegetables grown in the warm sun are harvested only when they are ready to be cooked. This philosophy that privileges the use of local products is consistent with our notion of wellness and self-care.